All professionals at UR Health Pediatrics maintain the highest levels of accreditation and pursue ongoing education to stay abreast of the latest trends in the medical field. Read on to learn more about our staff's experience and training. Dr. Gina Morgan-Smith is board certified in pediatrics. and earned her medical degree from SUNY Health Science Center in Brooklyn New York. She completed her residency at Kings County Hospital in New York. Dr. Morgan-Smith received additional faculty development faculty training at Morehouse School of Medicine and is associated with many community-based organizations dedicated to child health. She believes that every child deserves a family-centered medical home that provides continuous, coordinated and compassionate health care for children from birth to twenty-one years. She is affiliated with Miami Children’s Hospital, Northshore and Jackson Memorial Hospital. She is a fellow of the American Academy of Pediatrics. Dr. Morgan-Smith’s special area of interests includes preventive medicine, school health, and developmental behavioral health. 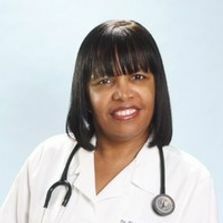 Dr. Gina Morgan-Smith is the Medical Director for UR Health Pediatrics. She is located at the UR Health Medical Center in Liberty City.